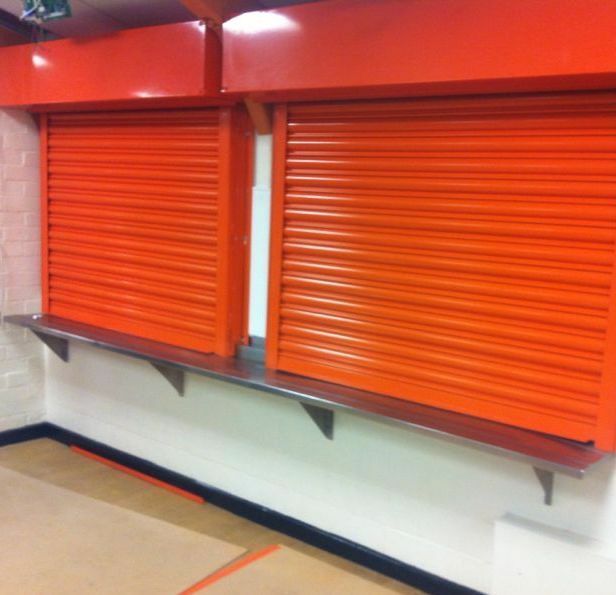 Fire roller shutter doors are used on internal applications where a degree of fire resistance is required. The build of the door is similar to our steel roller shutter but is fire tested to give up to 4 hours fire protection. The manually operated fire shutter is push / pull operation and is only available in sizes up to 2.75m². this type of door is usually operated via a thermal fusible link. The electrically operated fire shutter has a controlled descent electrical operator which allows opening and closing of the door via a push button control, and gives a safe, slow descent under fire alarm conditions. It can be connected to all types of alarm or building control device to automatically close (fully or partially) when given a signal.